Milwaukee made a dramatic jump in the NL Central standings from back-to-back next to last place finishes in 2015 and 2016. The Brewers finished 10 games over .500 in 2017, but were still six games behind the Cubs and the same number behind San Francisco for the second wildcard spot. That second place finish in the central was good enough to earn Craig Counsell Manager of the Year. There were high expectations heading into the new season and the Brew Crew realized them. Here's a quick recap of 2018, followed by how the Brewer's lineup stacks up in fantasy baseball. 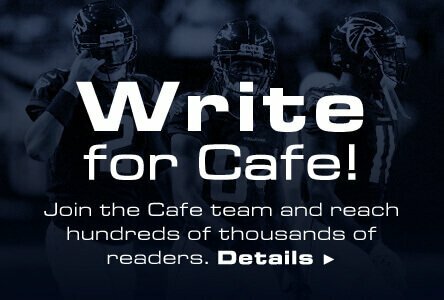 Editor's Note: Start playing daily fantasy MLB with Daily Fantasy Cafe's DraftKings promo code and FanDuel promo code offering exclusive free games on sign up. After improving 13 games in the win column from 2016 to 2017, Milwaukee fans had high hopes for a playoff run in 2018. Their hopes were rewarded with a tremendous season. The regular season ended with 95 victories and a tie with the Cubs for the division. The Brewers went into the Friendly Confines of Wrigley Field on October 1, and beat the Cubs in a 3 to 1 thriller. Milwaukee roared into the playoffs as the hottest team in baseball, in the middle of an eight-game winning streak. They remained hot, sweeping the Colorado Rockies in three-straight to make it to the NLCS against the Dodgers. They then took the defending NL Champs to a full seven games. It was an excitingly close series. Milwaukee outscored LA by a total of one run, 24 to 23 over the whole seven games, but their bats failed them in game seven. The Dodgers returned to the World Series with a 5 to 1 victory, leaving the Brew Crew one win shy of an improbably NL Title. Milwaukee will get their number one pitcher back in 2019. Jimmy Nelson exited early in 2017, and then sat out the whole 2018 season. Zach Davies is also set to return after his own injury struggles. Milwaukee already posted the fifth best ERA in baseball last season, so they could be even better. Much of their success is due to a strong bullpen showing in 2017, but the return of Nelson and Davies should help take a little of the load off the Brewer's relievers. Jhoulys Chacin is penciled in as the number one starter, but that clearly is a projection that could easily change. He pitched well in 2018, holding batters to a .220 average against him. With any kind of strong showing from Nelson, Chacin could benefit from a shift in his current role as the leader of the rotation. If these three pitch up to their potential, that could leave Chase Anderson to pitch against the opposition's fourth best starter. With somewhat of a consistent track record, that might make Anderson a viable back of the rotation flier. Keep in mind that Davies' ERA did edge close to five-runs per game, so he should be deemed a wait-and-see candidate for fantasy worthiness. The same would hold true for Nelson, if not for the fact he will probably vanish from draft boards in the later rounds. Milwaukee had the fourth best home run team in baseball, but fell down to the number twelve spot for run production. To boost their fantasy prowess for hitters back near the top, they finished a matching fourth for stolen bases. Orlando Arcia. Arcia can hit, when he's not mired in an all-to-characteristic slump. This lineup is so good that Mike Moustakas is in line to shift over from third to second base, allowing both himself and Travis Shaw to play on a regular basis. Moose is slated to hit as low as seventh in the order. It's pretty easy to get the gist of why many think this lineup could challenge for the most productive in baseball. One thing that the real baseball world and fantasy players alike cannot forget, is that Milwaukee has the reigning NL MVP. Christian Yelich hit 26 points over .300 with three-dozen home runs and a 110 RBIs is quite the fantasy achievement. Yelich added 22 stolen bases to make him not only a real MVP winner, but a player worthy of fantasy MVP status as well. While his 2018 was a career year, many feel he may have just scratched the surface of his talent. He's going to hit second on most nights in the Brewer lineup, so matching his performance of last season may not as improbable as some might think. Behind him will be two more players who belted over 30 home runs. Jesus Aguilar and Travis Shaw will bat third and cleanup respectfully. Aguilar has a few strikeout issues, and Shaw struggles at times to make contact. When either of them do, there is obviously a chance the ball leaves the yard. Having the reigning NL MVP hitting second in your batting order is a boost. However, with two other batters in the top four knocking more than 30 home runs as well, they are a power threat every night. Their pitching staff has the support of strong relief help, but they will also have two of their top arms back in the rotation to start 2019. There is a wait-and-see approach on Milwaukee pitching for fantasy purposes, but don't hesitate too long. The Brewers are an exceptionally well managed team with a strong clubhouse presence. Both Lorenzo Cain and Mike Moustakas know what it feels like to win a World Series. Look for them to have a strong motivational influence on a team loaded with good players. Every team in the central division tried to improve during the off season. But, the question will be; did they improve enough to overtake the best team in the division?